How Fast Should Your Email List Be Growing? 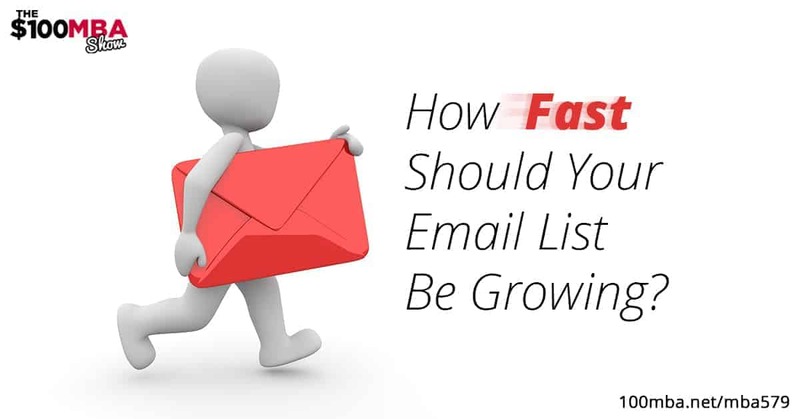 MBA579	How Fast Should Your Email List Be Growing? Your email list is a big part of your business. It’s the number one way to reach your audience. The larger your audience, the more you can reach and affect people. Now if you’re just starting to grow your list, you might be wondering why your list isn’t growing fast enough even though you’re doing everything you can to make it grow. If this is your frustration at the moment, let’s get you into the right mindset when it comes to this topic. Hit play to listen right now! Earth Class Mail moves your snail mail into the cloud. You can get all your mails scanned and accessible online 24/7. Start receiving all your business correspondence at one of our prestigious addresses. Visit earthclassmail.com/mbamonth and use coupon code MBAMONTH to get your first month of service for free on any plan! « Previous Post MBA578 What is The Best Day and Time To Run a Webinar? Next Post » MBA580 Do Contests Work For Marketing Your Business? Plus Free Ride Friday!